The term "teeth whitening" can refer to a number of techniques to improve the brightness of the patient's teeth. Among them are chemical whitening, mild acid whitening and abrasive teeth brightening. Teeth bleaching is chemical process used to lighten the color of the patient's teeth. The procedure can be performed by the patient in their home, using materials provided by the dentist. Before the patient embarks on the home teeth whitening regimen, a custom mouth tray is fabricated for the patient. The custom tray is a critical component of the treatment. 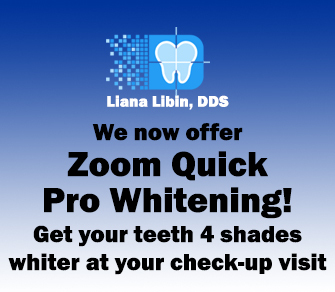 It ensures that the correct amount of whitening solution is used and that the patient's teeth are properly exposed to the whitening solution. The custom made mouth tray provides for a better fit than a one-size-fits-all mouth tray and helps to increase the margin of patient safety. The steps in the home teeth whitening regimen are fairly straightforward. A patient is provided with the materials and instructions and also answers questions the patient may have about the routine.